Microplastics come from industrial processes, landfills, urban waste and sewerage plants which feed directly into the oceans but also the sewerage sludge that is used as fertiliser on agricultural land. The study also lists a litany of issues that microplastics influences including terrestrial flora and fauna plants which can translocate microplastics to through digestive and physiological systems including the translocation of microplastics to pollen. The other issues raised include changes in physico‐chemical changes in soil texture and structure, accumulation of microplastics in terrestrial and continental food webs including being found in the digestive tract of terrestrial birds. 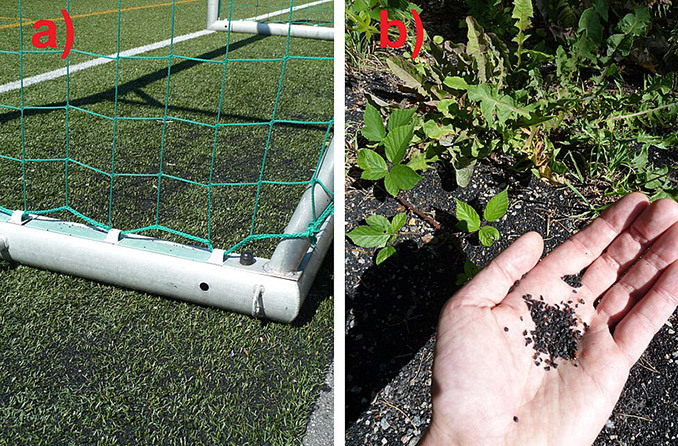 Figure 2 – a) Artificial turf football field with ground tyre rubber (GTR) used for cushioning. 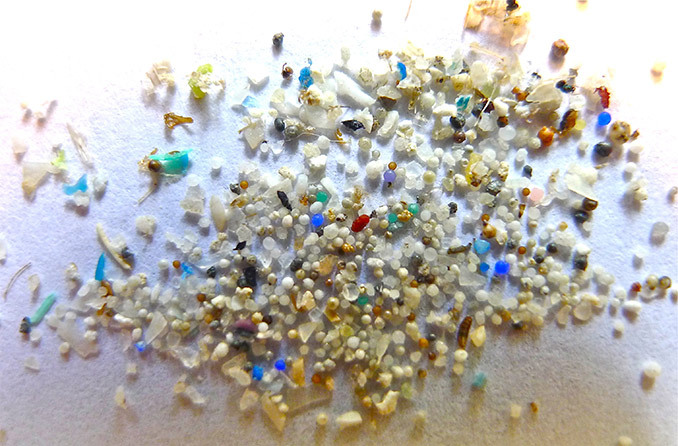 b) Microplastics from the same field, washed away by rain, found in nature close to a stream. Plastic pollution is a growing concern with a large number of pollutants coming from industrial processes, commercial packaging, and products. 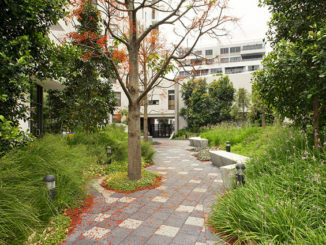 However, as landscape architects, we need to ensure that we are not contributing to the problem with using materials made of plastics that could contribute to the problem such as rubber surfacing, synthetic grass, composite materials. We should analyse and study whether we should be looking to foster the sustainable use of natural materials and treatments for landscapes including active and passive areas. There is obviously a balancing act between the use of natural materials and using natural resources create the construction materials needed, however, the alternatives of synthetic materials may cause more detriment when they become pollutants that can stay in terrestrial and oceanic systems for hundreds of years and could impact upon natural systems to such an extent that exacerbates current environmental problems such as climate change. 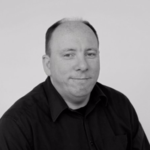 Article Written by Damian Holmes is the Founder and Editor of WLA. He is also a registered Landscape Architect and has extensive experience as a landscape architect in Australia, Canada, and China. Ecological Agriculture: can it feed the world?